2 Beds 1 Bath 1,330 Sq. ft. Description: Year built: 1930, Location, location, location! Home situated on almost 1/2 acre lot just 3 blocks from Lake Minnetonka's Stubbs Bay! Peaceful nature setting with stream running through the back yard which draws in deer, birds & more! 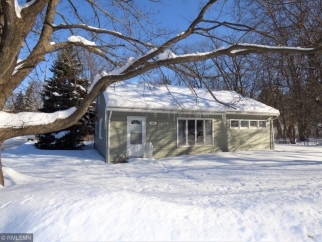 Newer roof, siding, furnace, water heater and windows in this turn key home in desired Orono School District. Home features hardwood floors, spacious living room & upper level expansion area. Right down the street from the Luce Line trail for biking, hiking, and snowmobiling in the winter. In this upscale area this home won't last long at this price!